What exactly is tooth decay? First, caries in the enamel or root of the cementum layer, patients generally no obvious symptoms, mostly in routine examination found. Two, the leading edge of the lesion is located in the superficial layer of the dentin. 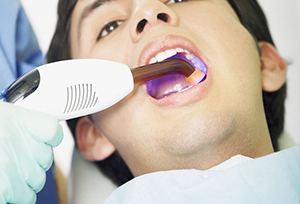 Clinical examination can show or explore the obvious caries, or when it is found in X-ray radiography. The patient has more self-conscious symptoms, mainly when eating cold, hot or sour and sweet food, and stimulate to enter the cavity, causing a period of sensitive symptoms. Three, the lesions progressed to the dentin deep layer, clinical observation of the obvious caries, very deep, close to the pulp cavity. Patients with obvious symptoms and sensitive to sweet and sour hot and cold stimulation, also can have the short pain symptoms of food impaction. Four, when the gums recession, the root surface exposed, the root surface of dental caries known as root caries, also known as root surface caries. Five, within a short period (6-12 months), all teeth or more teeth, multiple teeth at the same time suffering from caries; lesions showing acute caries characteristics; most occur in a special pathogenic factors or systemic background susceptible crowd. In view of the rapid and abnormal process of the disease, it is clinically called "rampant caries" or "rampant caries". 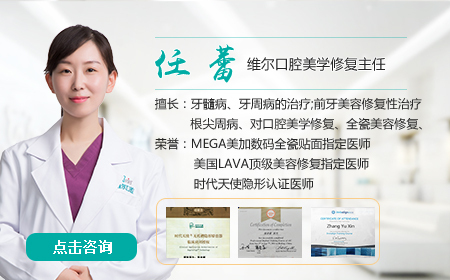 Hohhot Berg Oral Hospital Department of Stomatology experts remind: caries will not self repair, and if you find yourself got worm teeth, it is necessary to promptly investigate the pathogenic factors, to avoid the spread of the disease. Therefore, once symptoms have been detected, early medical treatment is necessary.